The tourism industry has seen a steep rise in the past decade. Coupled with social media influence, travel has become an important aspect of the changing lifestyle of people across the globe. While tourism growth of a country is directly proportionate to a flourishing economy, it comes at a cost. Environmental damage is one of the key problems that comes along overtourism. Depletion of naive resources unique to the land brings back the question if the tourism boom was worth it. According to a study published in the scientific journal Nature Climate Change, tourism accounts for around eight per cent of global greenhouse gas emissions. World popular tourist destinations have already shut down or are at the brink of it due to the effects of increasing visitors. Along with climate change, especially global warming that is posing a threat to the planet itself, the problem that lies ahead looks grave. 4 Truths That Make Us Wonder Whether The Earth Will Survive 50 Years From Now. Popular culture including web series, movies, novels, TV shows plays a major role in tourism hike of certain regions. With an increase in such a phenomenon, governments are closing places for restoration. Overtourism has affected corals, age-old structures, cultures, and the environment. As it continues to rise, we take a look at the measures undertaken by five popular tourist destinations across the world. White sand and limestone cliffs on the Maya Beach in Thailand is one among world popular tourist destinations. The place was made famous by the 2000 movie The Beach starring Leonardo DiCaprio. But, Thailand was forced to close the beach temporarily for a few months in2 018, but now it's now shut down indefinitely. Department of National Parks, Wildlife and Plant Conservation said that the beach needs more time to recover. Corals of the beach were being destroyed due to overcrowding among other problems due to overtourism. 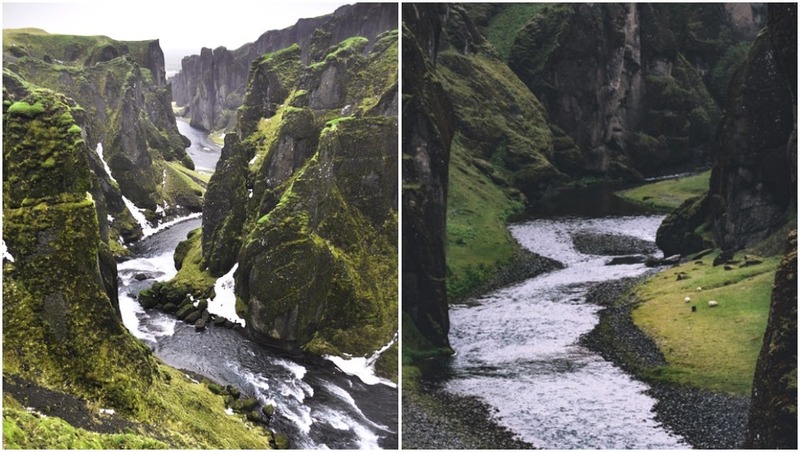 Iceland has temporarily closed one of its popular tourist attraction, the canyon of Fjaorargljufur, due to environmental damage caused by overtourism. There has been a significant increase in the number of visitors the place has been receiving in recent years. The number of visitors rose from 150,000 in 2016 and to 282,000 in 2017. In 2018, the canyon was closed briefly for weather-related maintenance. Water flowing amidst tall canyon walls covered in green became popular after Justin Beiber's 2015 music video 'I'll Show You' which was shot in nature's beauty was revealed. Beaches are banning sunscreens to save coral reefs. The Pacific island nation of Palau has become the first country to ban sunscreens with chemicals that damage coral reefs. 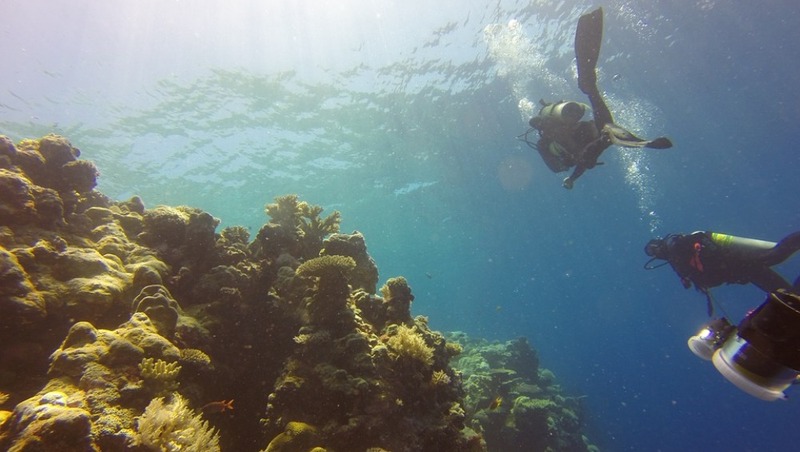 Some of the chemical components present in sunscreen cause bleaching of various species of corals. Whitening of coral is reversible if the stress of the corals is reduced, otherwise, they starve to death. Reportedly, scientists estimate that about 14,000 tons of sunscreen are washing into the world's oceans each year. Palau To Ban Sunscreen To Save Coral Reefs: Here's How Sunscreen Affects Marine Life. This Chilean island located in the southeastern Pacific Ocean receives around a lakh visitors every year. However, the growing popularity of the iconic moai in Rapa Nui National Park came with negative effects. 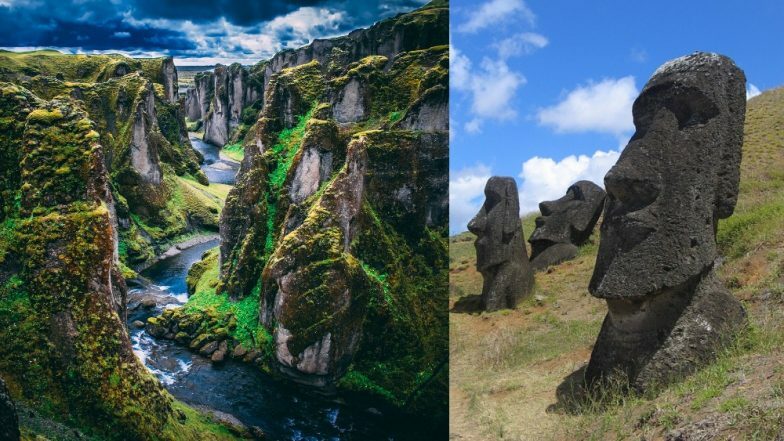 Scientists have already predicted, the island is under threat from global warming and could result in the rapid erosion of the sculptures' heads. Moreover, foreigners are taking over the place, damaging the local culture and there is an increase in the waste produced by the island. The island now has 7,750 people living which is double the population from the past 20 years. Earlier tourists could stay for 90-days which has now been reduced to a period of 30 days. The human sculptures were created by the early inhabitants of the island during the 13th century. 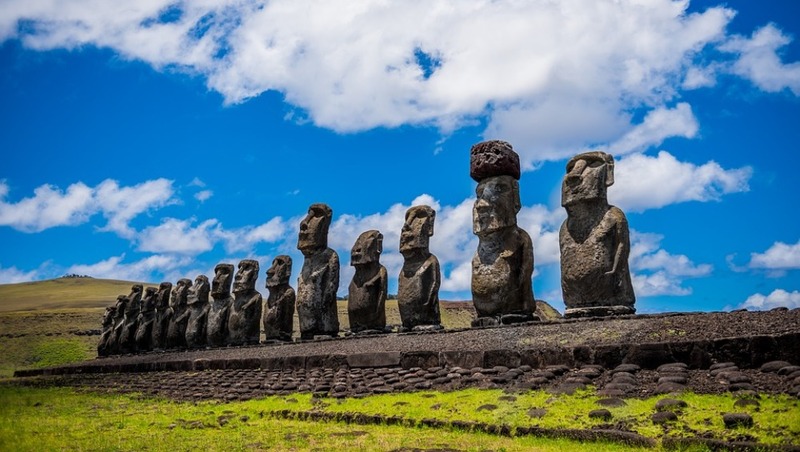 Easter Island: Here's Why Rapa Nui's Statues Stand Where They Do. Worried over the increasing number of tourists visiting Bhutan, the Himalayan kingdom set a bar on the number of annual visitors in 2010. Bhutan, which guards its ancient traditions with high regards calls their new tourism concept as 'High Value, Low Impact'. 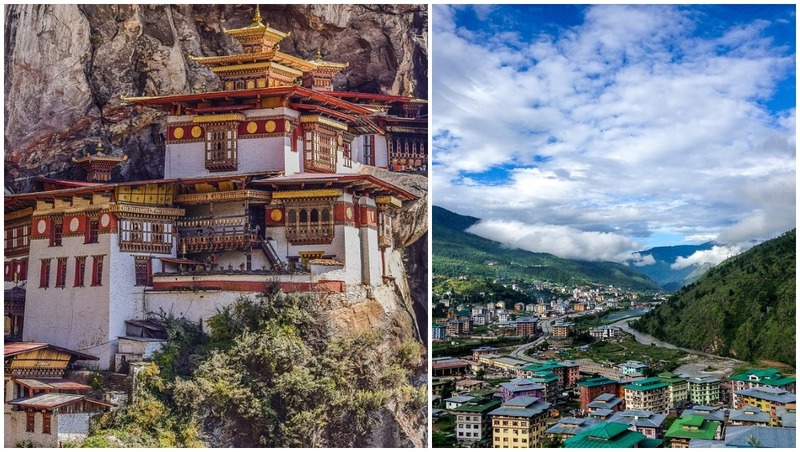 People visiting Bhutan from countries other than India have to pay a daily tariff of $200 which includes accommodation, internal travel, trek guide and food. This sustainable development policy has helped the country save their culture from Western influence and less environmental destruction. And the daily tariff has improved its free healthcare and education system. 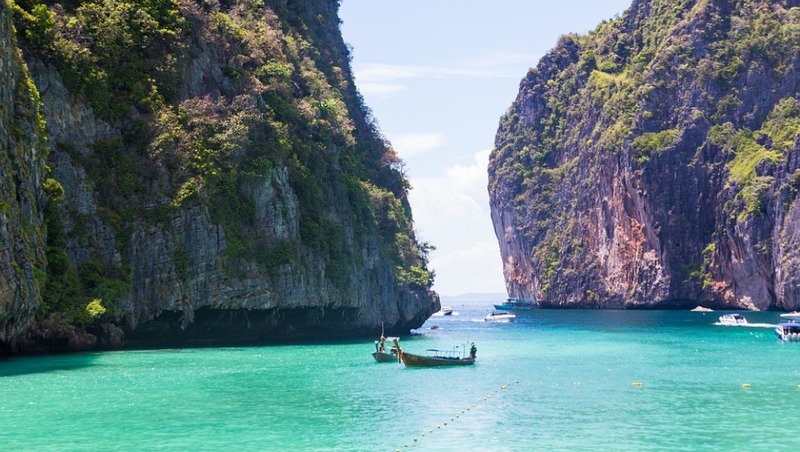 Thailand Aims to Attract More Indian Tourists. Many world famous tourist spots from Alaska to the Amazon are facing threat from global warming. The Maldives, Alps, Brazil's Rio de Janeiro, Alaska, the Yamal Peninsula in Russia to the Dead Sea are witnessing rising temperatures. An uncontrolled increase in visitors will only cause damage to these stunning locations. While tourism provides an overall growth for the economy, it is high time we consider the irreversible damage it is causing to our surroundings.